For the first time in what feels like forever, you can get an entire skincare routine for under $50. No joke. 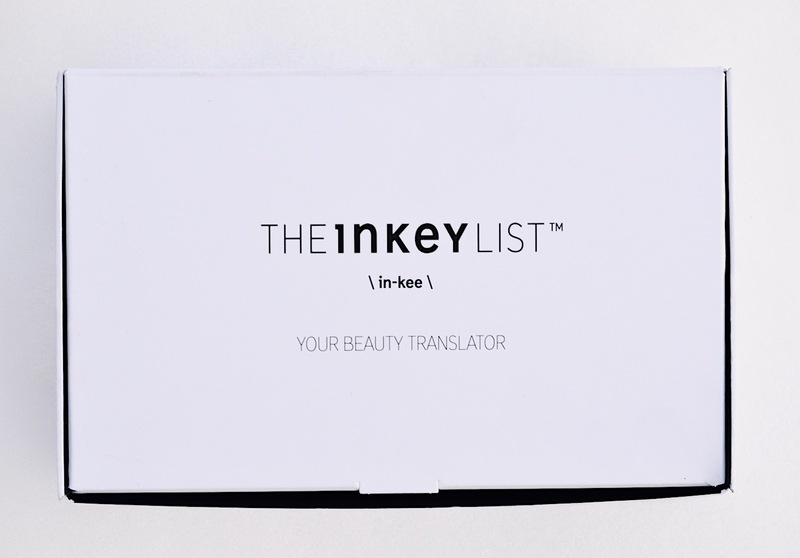 THE INKEY LIST is a brand hailing from the UK which launched in September 2018. Founded on the basis of providing "intelligent" beauty at an accessible price point, I'm all over the no-fuss, no-fluff line that focuses on delivering high-potency active ingredients, and nothing else. What makes for an active ingredient, you may ask? Actives are the molecules responsible for “doing something” and delivering benefits to the skin. Alpha-hydroxy acids (AHAs), Beta-hydroxy acid (salicylic acid), Retinol, or Hyaluronic Acid, to name a few. THE INKEY LIST prides itself in not including excess amounts of "filler" ingredients like water, fragrance and colour into their products, which makes my heart sing. I'm always looking to incorporate active ingredients into my routine, and for the following reasons: Lactic and glycolic acid to eat away at dead skin, salicylic acid to dissolve pore-clogging sebum, and retinol to help turn over skin cells, refine pores and even out lines and scars overtime. Luckily there's a whole host of new ingredients in this range that you may not have seen in your products before: turmeric, hemp and squalane. These active ingredients are truly the sports cars of the skincare world, but now you have access to them - without the sports car price tag. What is an INKEY LIST? This company name is inspired by the acronym "INCI" which stands for "International Nomenclature of Cosmetic Ingredients". This is also code for that compulsory list of ingredients shown on the back of your skincare and makeup products. I was fortunate enough to meet the founders of THE INKEY LIST back in January and loved their aesthetic from the very start. Each product costs under $15 CAD, and can be found at Shoppers Drug Mart both in-store and online (select products) right now. Squalane is a natural oil found in our skin, which protects and hydrates by holding in moisture underneath the skin's barrier. I have combination skin, and I find that my skin will produce excess oil especially when I'm dehydrated (and drinking coffee!). So I'll use Squalane on its own all over my entire face, even in the morning. It miraculously keeps excess oil at bay, and hydrates my skin all day. This oil is great for men with beards too, and can be worn under makeup. You can also mix this pure oil with moisturizers to "supercharge" them. Keep it in your handbag to add an extra highlight on your cheekbones, moisturize cuticles, tame frizz or use on the lips. $14.99 at Shoppers Drug Mart. I’ve loved lactic acid ever since I tried the Miracle 10 AHA Cream back in 2015, here. I haven’t repurchased a full-size due to the high price tag, but it truly is my favourite treatment moisturizer out there. This liquid format of lactic acid, derived from milk and fruit sugars, loosens and removes dead skin cells like Glycolic Acid, but gentler. I found The Ordinary's 10% lactic acid serum to be okay, but definitely too sticky for me. I apply this one with a reusable cotton pad all over my skin BEFORE RETINOL (see my favs here and here) since lactic acid will prepare your skin to absorb the retinol ingredients best. PROBLEM: packaging. I don’t like messy products, so the leaky flip-top lid (on both the Squalane and Lactic Acid) is something I had to get rid of immediately. I decanted the liquids into other bottles with pumps. I’d really like to see these liquids with a twist-off lid and a squirt top to allow for a more clean and controlled application. $12.99 at Shoppers Drug Mart. This cream retinol is simple and easy to use. It isn't too strong, and is helping to even out some texture on my cheeks. I'll use this product every other day, and I've never reacted to it. Like with other retinols, I avoid around my nose, anywhere close to the eyes and my smile-lines so that I don't get pooling in the creases and resulting irritation. This is a fantastic product for those wanting to dip their toes into the world of Vitamin A, or a quick fix for your travel bag. Love the simple tube application, although it seems to be a bit yellow and discoloured compared to the rest. This lightweight moisturizer is derived from a hemp plant in Korea. It has a high content of Omega-3 and Omega-6 which helps nourish skin. I found that this moisturizer didn't really do it for me. It wasn't enough moisture for my combo skin, but that might change in the summer when the winter chill finally lets up. If you have more normal or oily skin, this could work better for you since the texture is so light. Derived from the stems of the Curcuma Longa plant, this moisturizer has powerful antioxidants and anti-inflammatory properties. It also targets dry areas with Vitamin E. Guys, I wanted to LOVE this. Sadly, the scent is too weird (turmeric with vaseline) and again, it didn't do enough moisturizing on my combo skin. I passed this on to my mom, and will definitely update if it works for her better. This brand is so affordable, so you can't go wrong picking up a few goodies to try out. They have an incredible retinol, and I adore the squalane oil - especially for those who are new to using straight oils on the skin! Packaging. From the yellowing tube to the leaking caps, we need an upgrade. I'm also not crazy about the traditional moisturizers. We need something a bit thicker like Indeed Labs' Ten Balm for combo and dry skin. I am so happy to see more accessible skincare brands on the market catering to all folks with varying needs and budgets. Keeping up with the beauty industry is an expensive habit, and one that lead me to blogging back in 2012! I'm a true believer in mixing high and low in my style choices, so now we can too in our daily skincare routines.